This apartment has a spacious hallway, living room with American-style kitchen and sofa bed, master bedroom, large bathroom and useful storage room for all your skis and other outdoor equipment. It is located in Piazza Costanzi, Malè. It sleeps six people: two in the bunk bed near the entrance, which has a light-tight sliding door for maximum privacy, two on the sofa bed in the living room and two in the master bedroom. 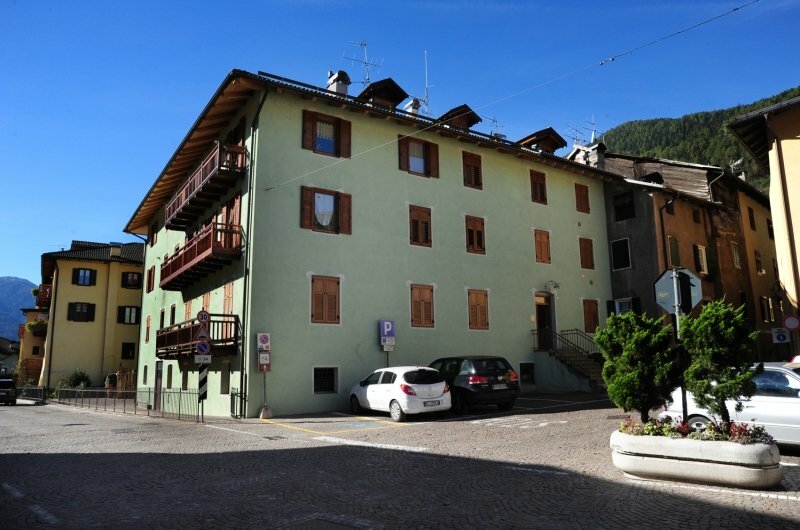 It’s furnished in the traditional Val di Sole style with locally made, timber furniture. The floors are wood parquetry, so you don’t get cold feet. 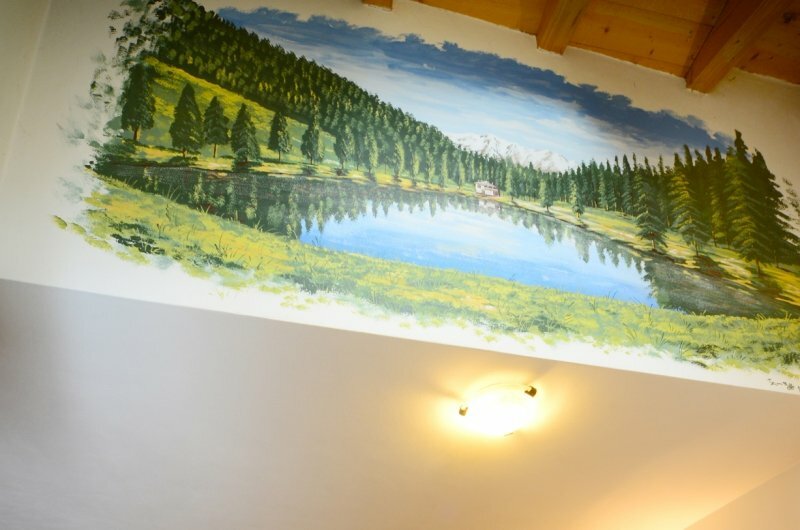 Local artist, Tiziano Maffei, has painted murals of Trentino throughout the apartment. 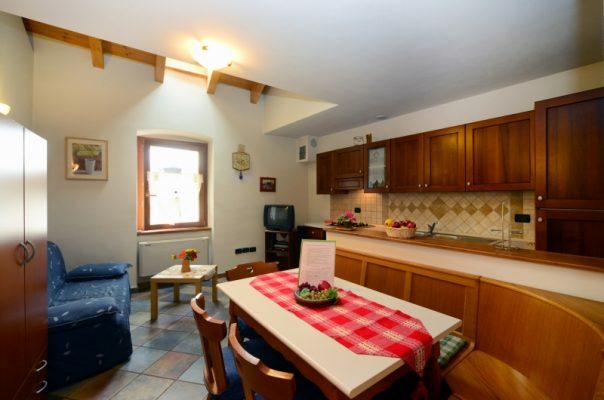 The kitchen has a professional and modern stove and cooktop, and all the pots, pans, kitchen utensils, glass, cutlery and plates you need to cook a holiday feast. 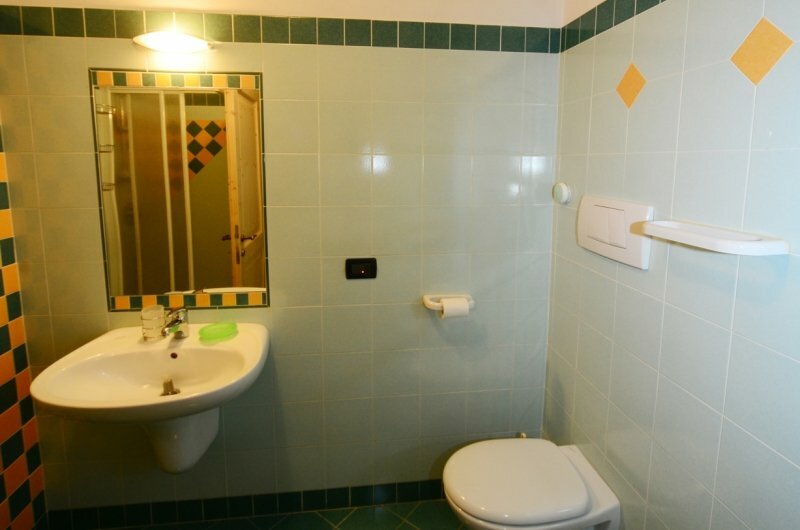 The bathroom is new with modern fittings. 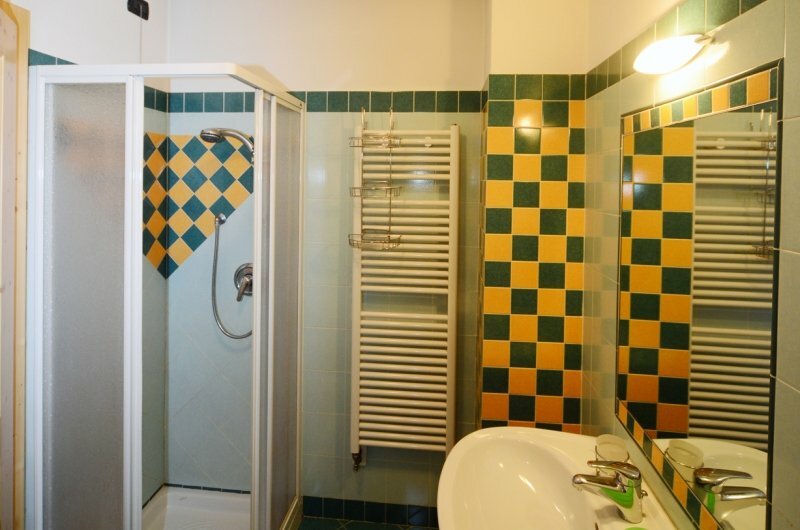 We also have a laundry with washing machine and ample drying space for clothes. The apartment has a TV with a VCR, DVD and DIVX player. We also have digital channels and Sky set-top box – all you need to do is bring your smart card along! You control the air-conditioning and heating unit. 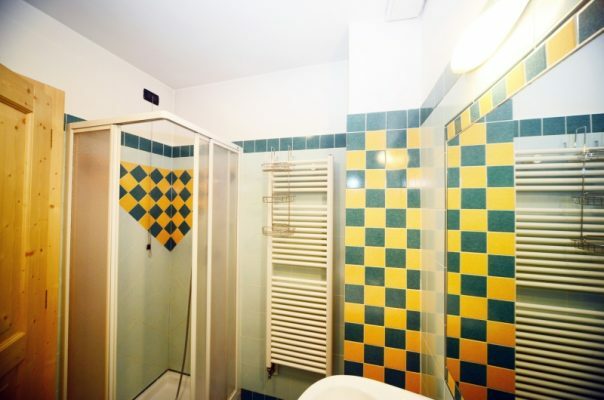 We just make sure to turn it on before you arrive in winter, so you don’t walk into a cold apartment! We’ve also gone that extra mile to make sure all our beds, including the sofa bed, have thick, new and comfortable mattresses for a good night’s sleep. We offer you a hairdryer, blankets and cushions. Sheets, towels and kitchen towels can be provided upon request.